1. "You can't run games on Linux.". There is a list of Linux games at http://icculus.org/lgfaq/gamelist.php which includes many famous and popular games such as Enemy Territory: Quake Wars, Quake 4 and the Unreal Tournament series. These have either been ported from the originals by independent game companies or originally programmed for Linux (as well as many other operating systems). They often run faster on Linux than Windows as the old ETQW system requirements page showed (required 2.8GHz for Windows, 2.0GHz for Linux). For games that are not supported on Linux, there are API layers (NOT emulators) for Linux that can run Windows programs, often faster than Windows can, due to memory usage. Examples are Wine (free libre/gratis), Cedega (subscription) and CrossOver (subscription). I have successfully run many Valve games on Linux such as Half-Life 2, and many mods of it, using the Windows version of Steam under Wine, and they ran great. Also check out http://en.wikipedia.org/wiki/List_of_open_source_video_games for many more cross platform free games. 2. "Linux has bad security". Linux was originally designed for multiple users from the ground up, in contrast to Windows' 1-user original setup. This could factor in too. The password hashes used by Linux can be Blowfish or MD5. These are known strong algorithms, and they are protected by a "salt" to protect against "rainbow table" password cracking. Unfortunately, Windows uses a hash called "NTLM", NT Lan Manager. These hashes don't have salts, and your password is split into 7 digit segments before being hashed. See http://en.wikipedia.org/wiki/LM_hash . These keys are significantly easier to crack and don't require much time if necessary rainbow tables have been installed. In the times of Windows XP, no password was set by default for the main user or administrator, Though this has been fixed now, this was a huge security risk. Exploits in Linux and Windows have been widespread, but Windows has had many more serious ones. In fact in 2008, a Windows server could be compromised by attacking the SMB service in an attack called "ms08_067_netapi". This can gain System user level access to the system. Linux kernel exploits have indeed been found but have been patched significantly quicker (as open source usually is, as there are many more developers), and cannot be exploited from the outside. One more reason why Windows computers happen to be less secure is that the users running the system do not know much about security (they are less educated) and as the system is often not tightly locked down enough. 3. "Linux is hard to use". This is a complete joke in my eyes. I recommend Linux Mint at www.linuxmint.com to anyone to try it. You will find that most if not all of your hardware is auto detected (Windows does not have this, it needs drivers, and the only reason it works for you is that they have been prepackaged along with your computer), and it's simple. To install software all one needs to do is to go to the Install Software or Package Manager button in the menu and search for software. Repositories like this have been checked for malware so there is a very slim chance user programs will do harm. 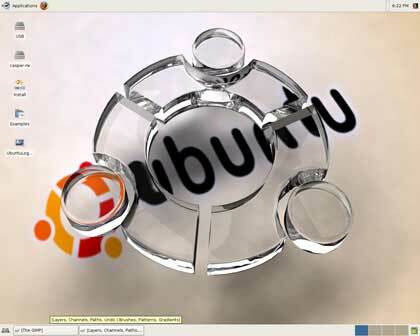 Ubuntu and Mint are world renound for their ease of use, and that means there is no reason not to check them out! 4. "Linux won't play my media/DVD/etc"
It is likely that your distribution does not come with necessary media codecs (for legal reasons). That is why I recommend Mint (to anyone in a country where the software is legal, get the Main edition). This includes software to play DVDs and almost all media formats. Though it is not hard to install it in Ubuntu, the media players prompt you to choose a codec and install it! 5. "Linux is all command line". Thanks for defending Linux. You forgot to mention only that Internet wouldn't probably exist by now if it wasn't for linux servers (used most of all by Microsoft sites). Windows security is so "strong" that most self respecting ISPs operates from behind a linux servers. I haven't made a blog in a long while, so I'd thought I'd share this, which I recently discovered how to do. If you find the idea of proxies a bit restrictive. because after all, they have to be set up in the applications in question, and may not work for some applications, help is here. And all you need is an SSH server you can connect to. Sadly, this method requires root, but it's worth having for the system-wide Internet connection you'll get from it. Authenticating as root First, make sure you're root on the client machine (sudo -s or su -, depending on your distro), and that you can ssh as root to your target server. This is of course causes security implications, so it may be a good idea to generate a key pair for root-to-root access and block off passworded access for root, so that no one can bruteforce your root password.